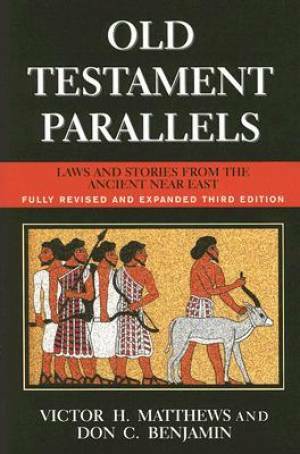 A readable, portable anthology of ancient Near Eastern laws and stories that share parallel themes and issues with biblical stories. This third edition has been completely revised in light of the ongoing discoveries of more and more ancient Near Eastern texts and many of the parallels from the first two editions have been added. Old Testament Parallels by Victor Harold Matthews was published by Paulist Press International,U.S. in September 2006 and is our 53428th best seller. The ISBN for Old Testament Parallels is 9780809144358. Be the first to review Old Testament Parallels! Got a question? No problem! Just click here to ask us about Old Testament Parallels.